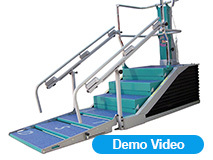 The Dynamic Stair Trainer is a progressive rehabilitation device designed to retrain the gradual use of stair-climbing skills in order to regain mobility and independence. 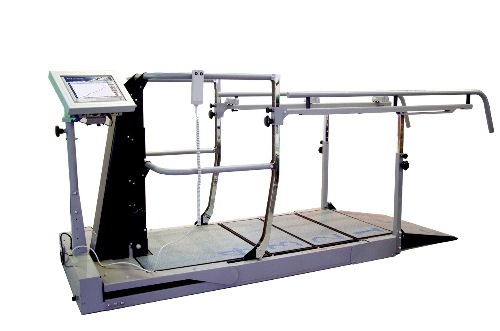 The apparatus features four steps whose height can be adjusted electronically from zero to 16.5 centimeters (0- 6.5 inches) between steps. 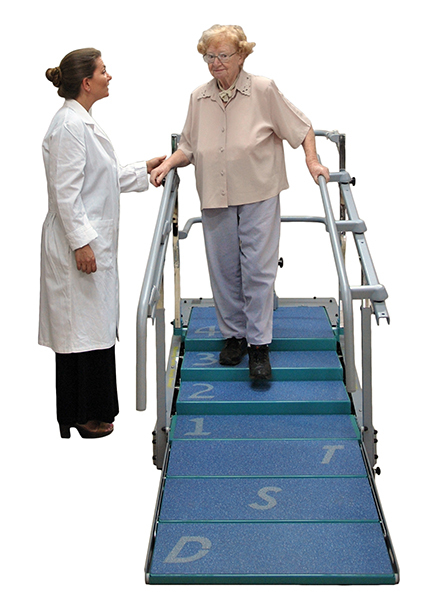 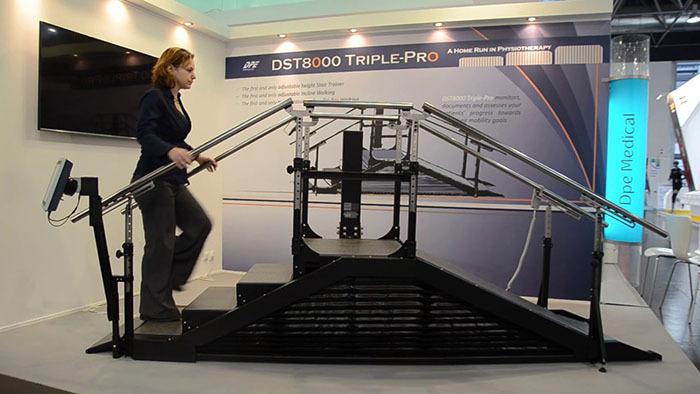 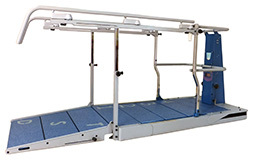 The Dynamic Stair Trainer is also equipped with handrails on either side; the height of the handrails can be adjusted. 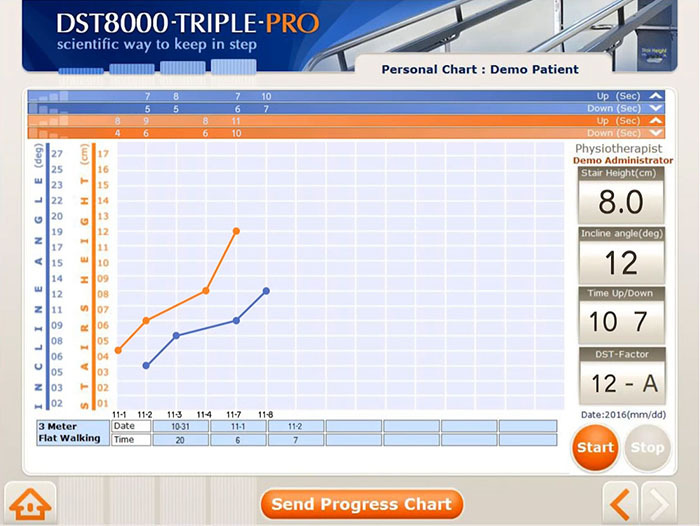 The Computerized DST monitors, tracks and displays patient's performance in past and current treatment sessions, with a clear, objective and accurate Personal Chart of Progress – a document, generated automatically by the DST-System.